The Hero Dog Awards recognize some of our four-legged friends who represent the best of the best when it comes to our canine companions. Last week I highlighted two dogs that are among the eight finalists for the Hero Dog Award, sponsored by the American Humane Association. Holly was nominated in the Service Dog Category, and Daniel the Beagle represents the Emerging Hero Dog category. 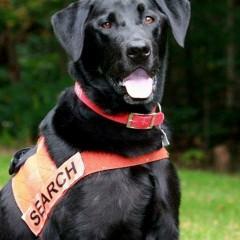 Soot, a black Labrador from West Virginia, is nominated in the Search and Rescue Dogs group. A high-energy dog, his intelligence and temperament were perfect for search-and-rescue training. Two years after receiving his certification he was assigned the task of locating a 78-year-old hunter who became lost in the woods. Using his scent discrimination talents, he searched through the night and found the hunter several miles from his truck, tired and cold but in good condition. Soot’s charity partner is the Sage Foundation for Dogs Who Serve, created by and named for the dog that was last year’s winner in this category. Jynx, a German Shepherd from Pennsylvania, is nominated in the Law Enforcement/Arson Dog category. 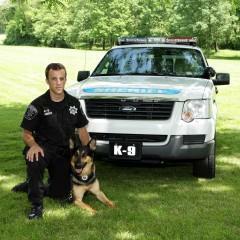 He and his partner, Deputy Sheriff Kyle Pagerly, were searching for a subject that was hiding in the woods. Jynx alerted his human to the location of suspect, who realized he had been spotted. He stood and fired, killing Deputy Pagerly. Although Jynx is a highly trained dog, he then did something he was never trained to do. He grabbed his partner’s pants leg to try to pull him out of harm’s way. His brave efforts saved the lives of several other officers that day, and earned him the Medal of Honor for Valor. Although Jynx was only three years old, he is retired now and living with Deputy Pagerly’s widow and newborn baby. His charity partner is K9s4COPS, an organization that works to make sure every law enforcement officer that needs a K-9 partner has one trained and ready to help stop criminals in the act, and sniff out illegal drugs, bombs and the cause of fires. To learn more about the Hero Dog Awards and this year’s finalists, visit the website at www.herodogawards.org. You can vote for the finalist you think should be America’s Hero Dog, because some heroes have four legs, when we’re speaking of pets.